Are you looking for a wonderful breakfast that will be easy to make in advance and great to prepare the evening before? Well- look no further! We are sharing how to make an easy 4-Ingredient Chia Pudding! 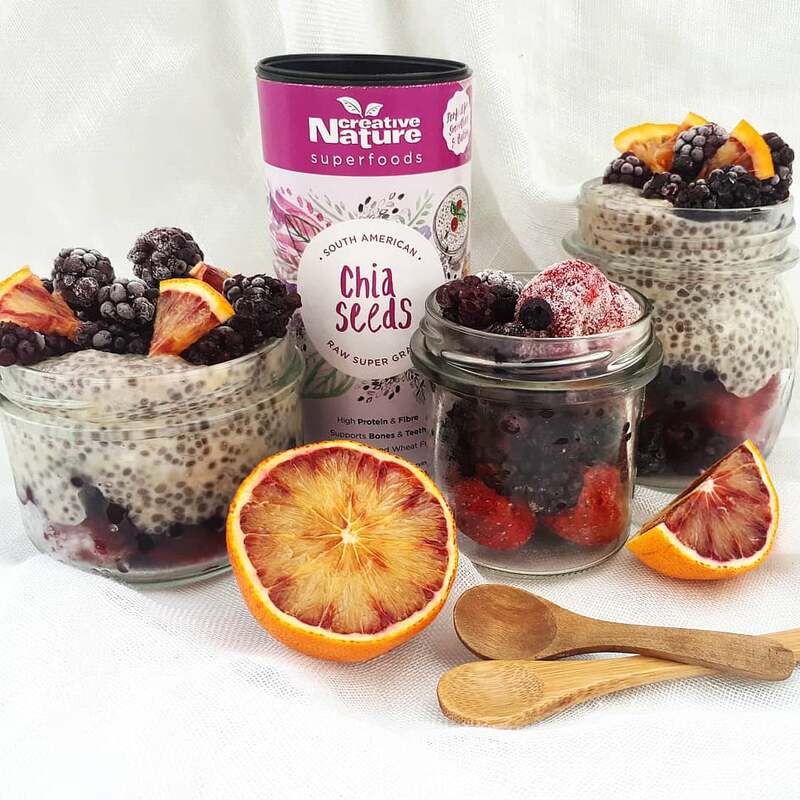 Chia seeds are the perfect ingredient for a healthy breakfast. They are packed with fibre and protein which will keep you feeling fuller for longer and fuel you throughout the day ahead! Top it off with your favourite fruits and superfoods to give it that extra kick and you’re sorted to take on the morning! 1. In a bowl, stir the mashed banana and the milk together. 2. Add in the soy yogurt and the chia seeds. 3. Stir the mixture until everything is well mixed. 4. Put in the fridge overnight. In the morning: top with your fave fruit, some granola, cacao nibs, … Whatever you like! Thank you for this recipe to Pineapples & Tea!